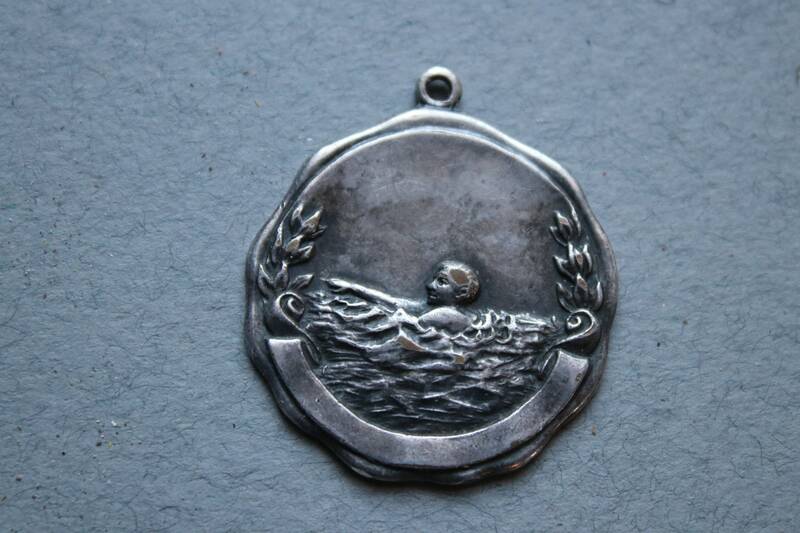 This vintage swimmer's medal is engraved "CharleVoix, 1938, Glen Milligan." 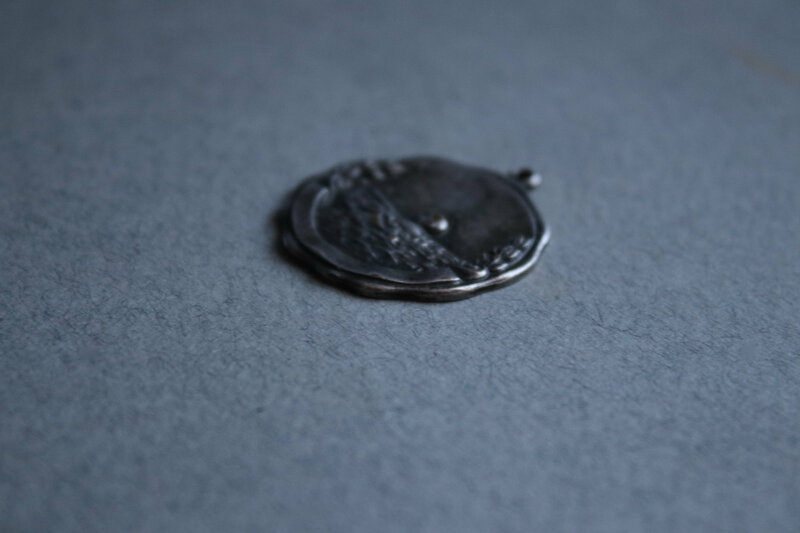 When I purchased the medal, it was marked sterling on the tag, but I am not so sure this is sterling as there is no hallmark. Please note there is wear to the swimmer's head and to a couple of the waves. Please use the magnify function to examine the photos, the first one in particular. 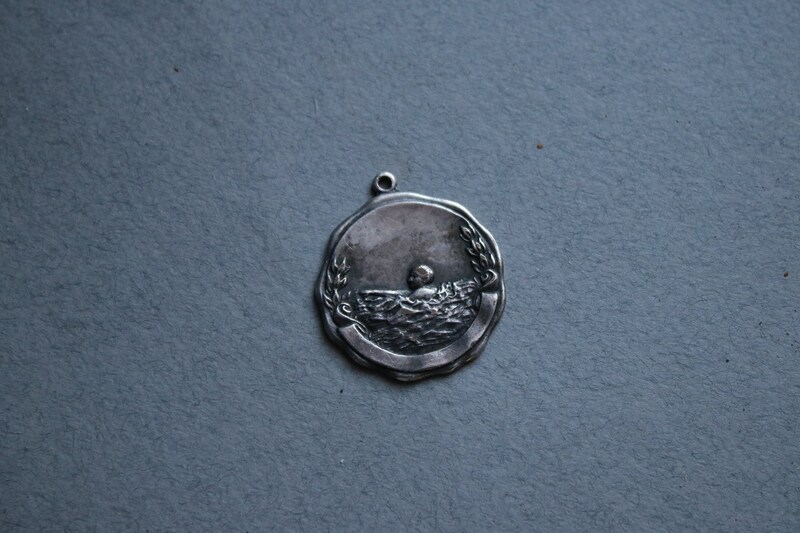 The medal is 1 1/8" and is ready for a chain. 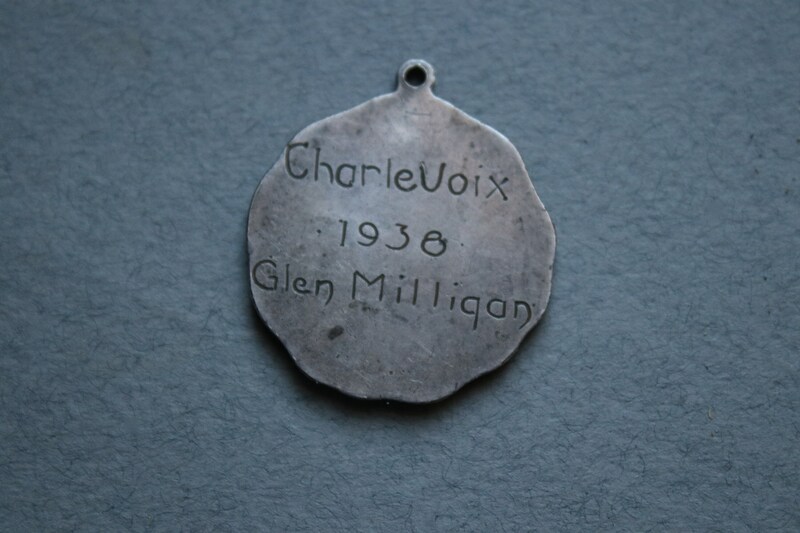 There is a Charlevoix, Michigan and also a region known as Charlevoix in Quebec, so I am uncertain as to which locale this medal is from.